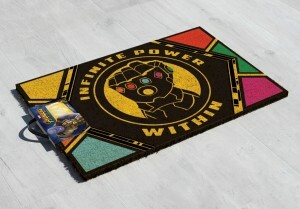 Step into your own Marvel universe with the Marvel Avengers: Infinity War Doormat (RRP £14.99). 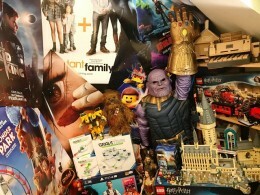 Featuring Thanos’ iconic gauntlet containing all of the infinity stones, this quirky but practical gift measures 60 x 40cm and is made from 100% coir with rubber backing. Brightly coloured and suitable for indoor or outdoor use, this is the perfect gift for super fans of the Avengers franchise! 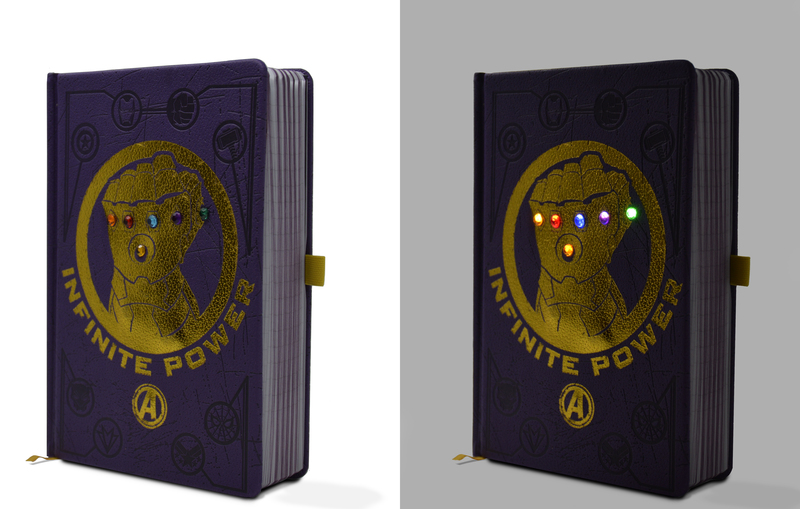 Let the infinity stones light the way with the Avengers: Infinity Premium Light Up A5 Notebook (RRP £14.99). 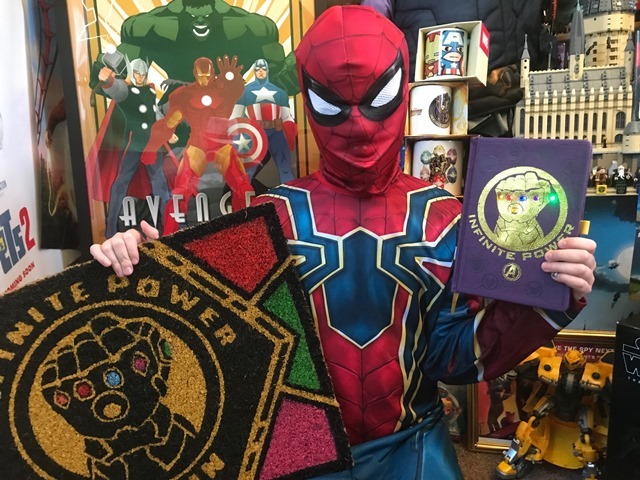 Featuring a gold gauntlet cover design complete with light up infinity stones, this premium notebook includes 120 lined pages and is sure to brighten up your notes, lists or even plans to save the world! The Marvel Avengers Infinity War Mega Mug (RRP £9.99) is made for superheroes who like their hot drinks to be MEGA! 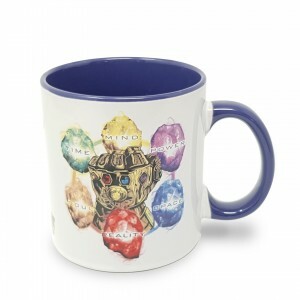 This sturdy 20oz drinking vessel is decorated with the infinity stones design and includes a strong handle – perfect for superhero-sized hands! It’s also dishwasher and microwave safe. One Lucky winner will receive 1 x Mega Mug, 1 x Doormat and 1 x Notebook!! !